And take a look at a Brittany-designed party featuring our new Camo Army Soldier theme! 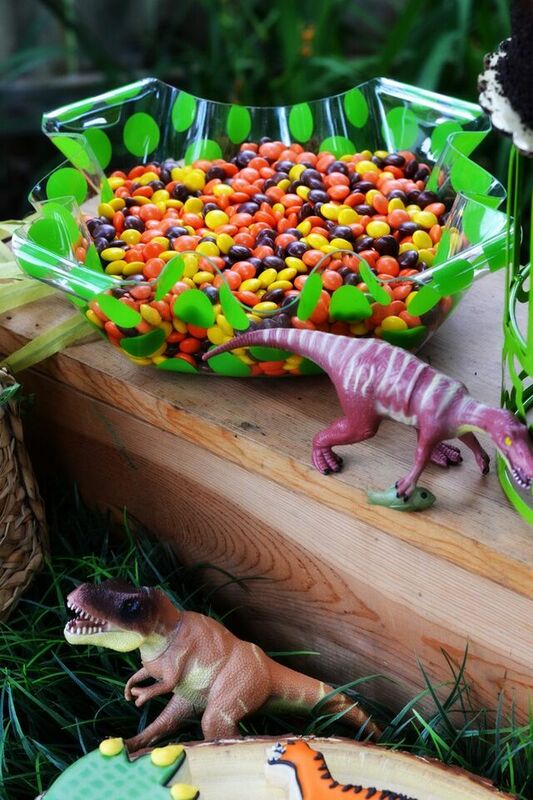 Click here to see an alternative take on a party with our Dinosaur party supplies! And click here if your little dino lover is crazy for Jurassic World! 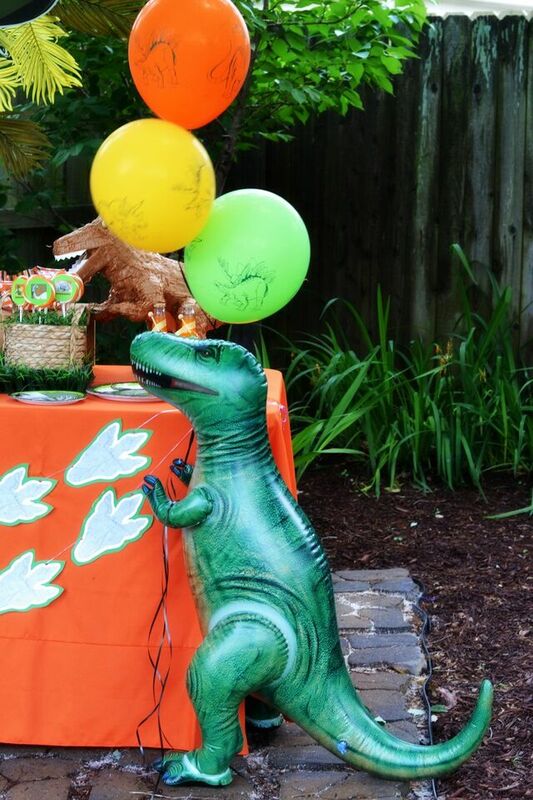 What little boy doesn’t love a good dinosaur party? Actually, when I was a little girl, I loved paleontology and even took a class on it! So, I was really excited to style the new Dinosaur party collection for Birthday Express. It’s always nice to do a party outside if you can, because you can use the great outdoors as your backdrop. 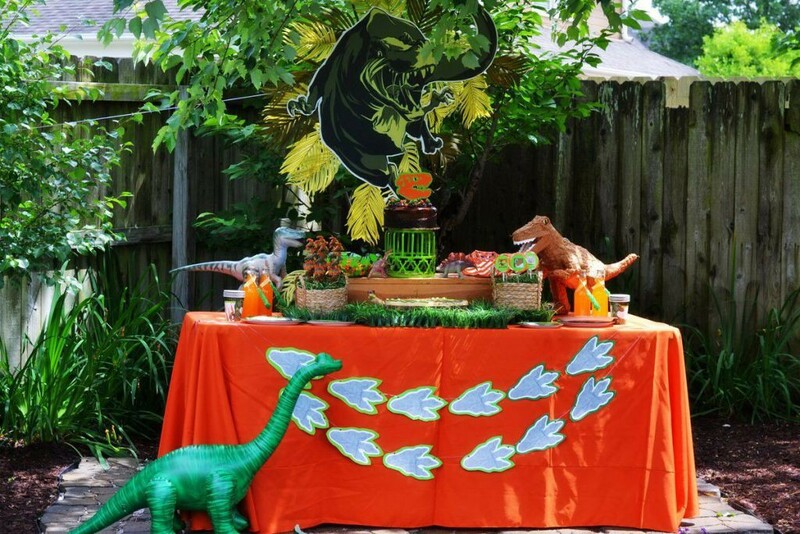 I have a little corner of my yard that is covered with beautiful foliage from a Maple tree, and I knew this would be the perfect location for my Dinosaur Party! I took my inspiration from this super cute color palette of the plates and cups; orange and all shades of green and grey. 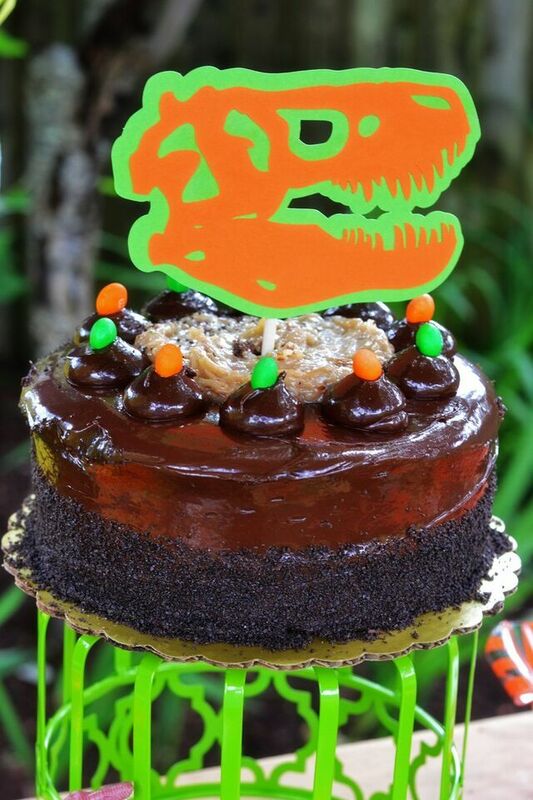 Get all the birthday supplies you need for a Jurassic Party in our Express Value Party Pack! A great tip for you at-home party parents is to look into renting colored linens for your party. 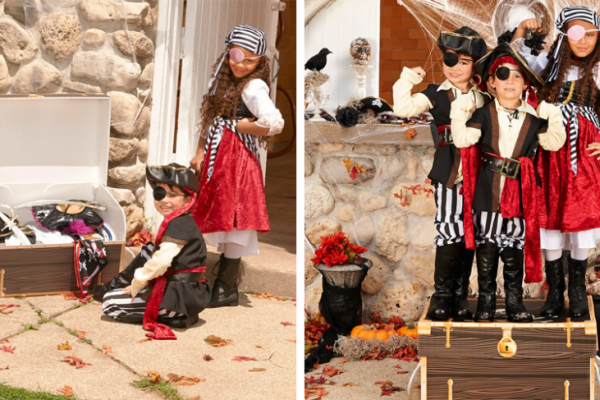 Most mid-sized cities have party rental companies that offer all sorts of great rentals and props. 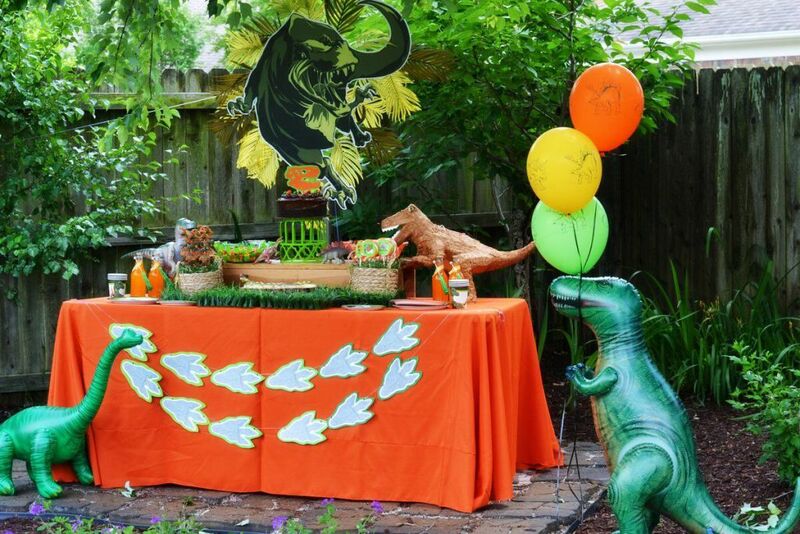 Just using this orange table linen really made the table pop from all the greenery around it. And the best part is that it was only $15 to rent! I added a wooden riser at the back of the table and placed some of my treats up there. You should always look to elevate certain parts of your table, because it creates more visual interest and also gives you more room to display. 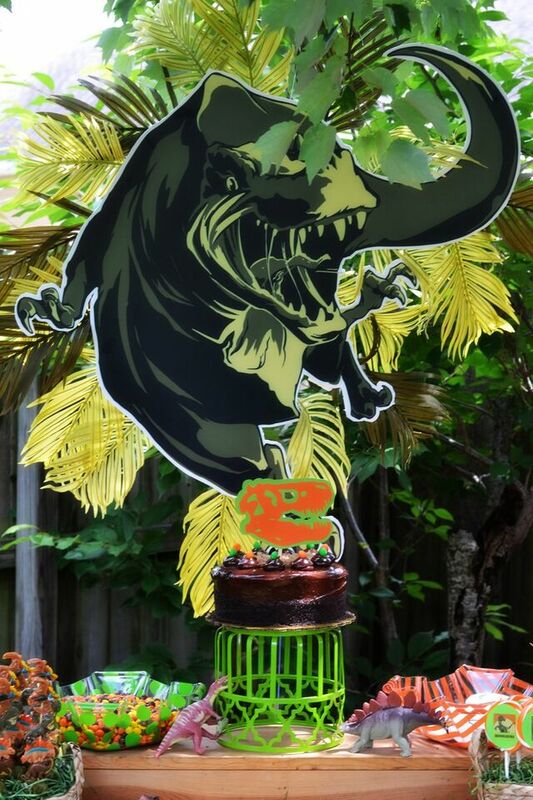 I let my three year old choose this simple German Chocolate cake and we dressed it up with some green and orange peanut M&Ms and a scary T-Rex design that I cut using my die-cut machine. For the other desserts, I really lucked out finding these Jurassic Park peeps that are out in stores now! 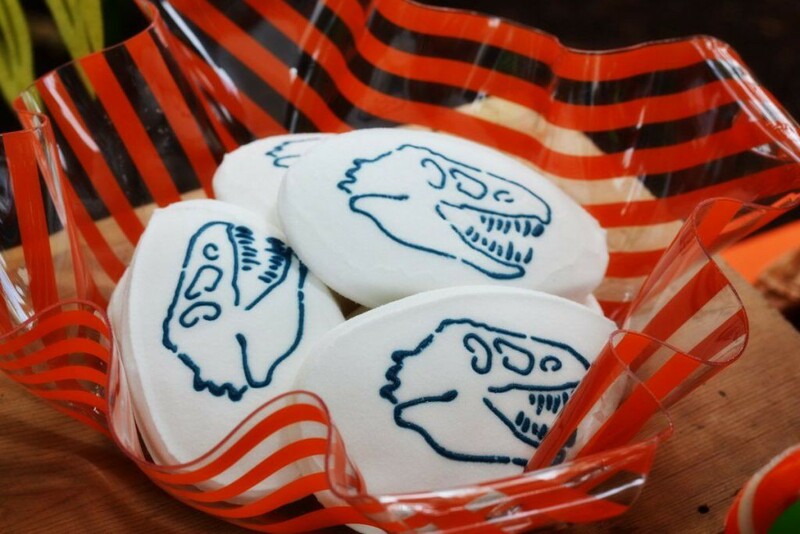 They look like dinosaur eggs with fossils. Then, I added some Reese’s Pieces too, because they perfectly fit the color scheme. 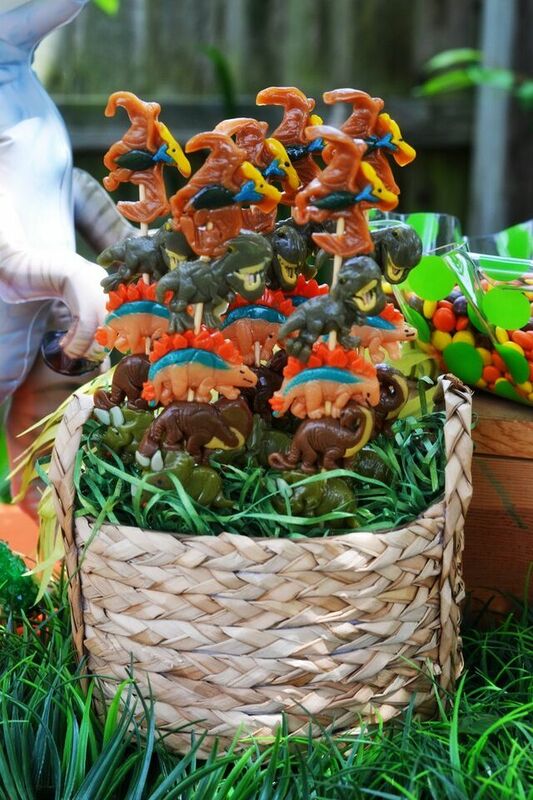 At the bottom of the table, we displayed some gummy Dinosaur skewers and some orange whirly pops from Birthday Express. 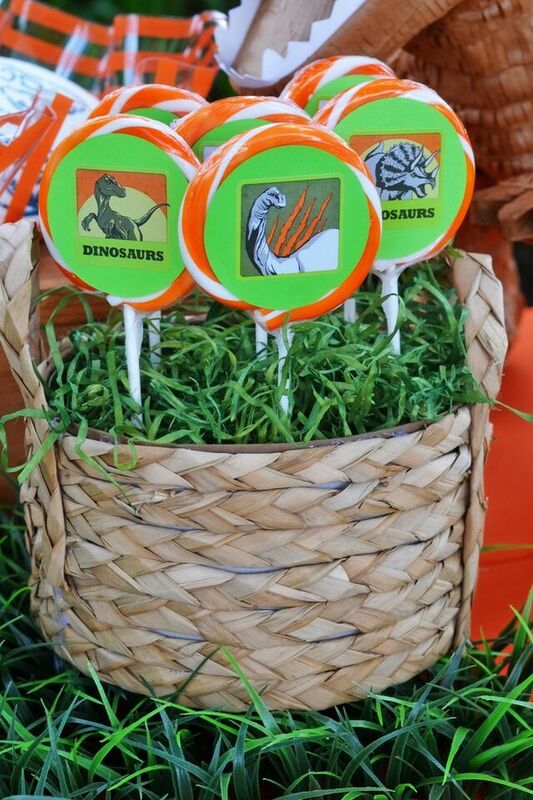 I added some of the dinosaur stickers from the collection onto the whirly pops to really make them go with the theme. Then, I displayed them in these dollar spot baskets and added some grass in them to disguise the Styrofoam. These cute grass mats on the bottom are from the craft store from Easter. I have had them for several years and they always come in handy for parties! And, of course, no party is complete with cookies, right? 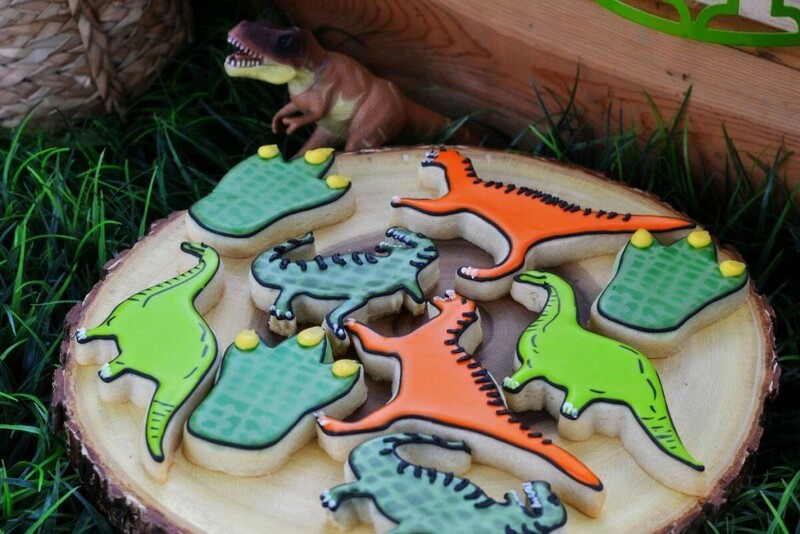 Whimsy Cookie Co. was kind enough to make these scary-cute dinosaur sugar cookies for my party. Not only are they adorable, but they are also delicious!! 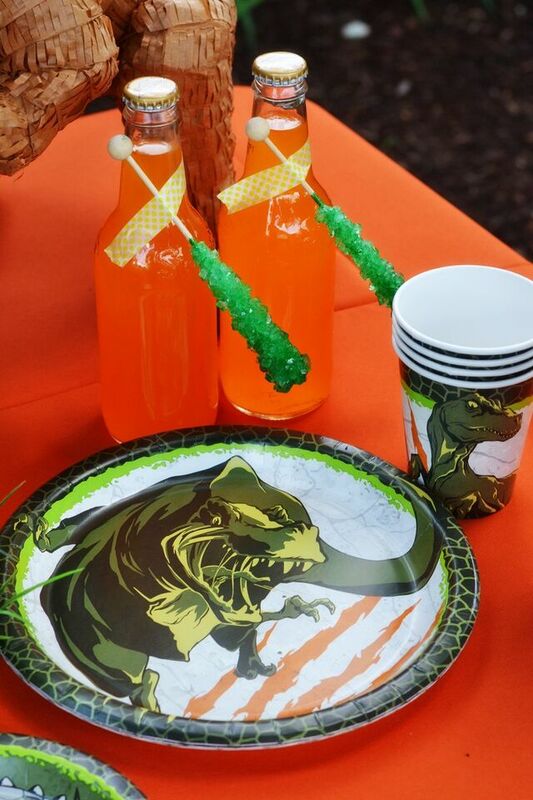 For the drinks, I chose these orange bottled sodas and simply taped some green rock candy sticks to them with some washi tape. 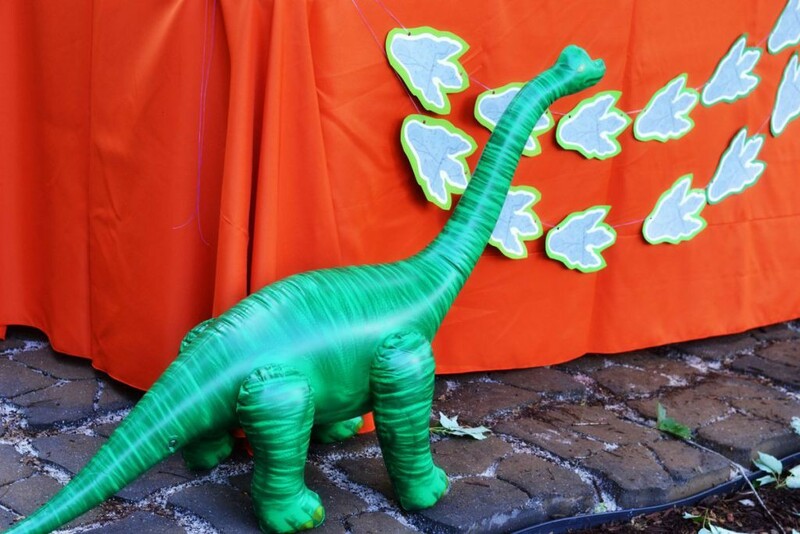 To add some extra fun to the party, I used a vinyl wall cutout dinosaur decal for a backdrop. I applied him right to some foam board and then cut around him using an X-acto knife. I strung him up from the tree and added some faux fern pieces on the back. 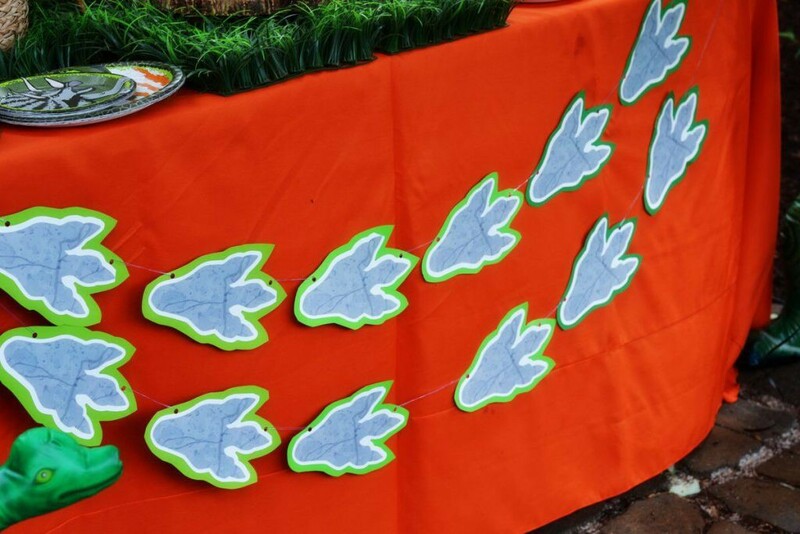 Then, I used the dinosaur footprints that come with him to make a fun banner for the front of the table. And finally, we had to have some dinosaurs at the party, right? Birthday Express has these awesome inflatable dinosaurs, a brachiosaurus and a tyrannosaurus, which added the perfect touch to my table! T-Rex even held the balloons for us! 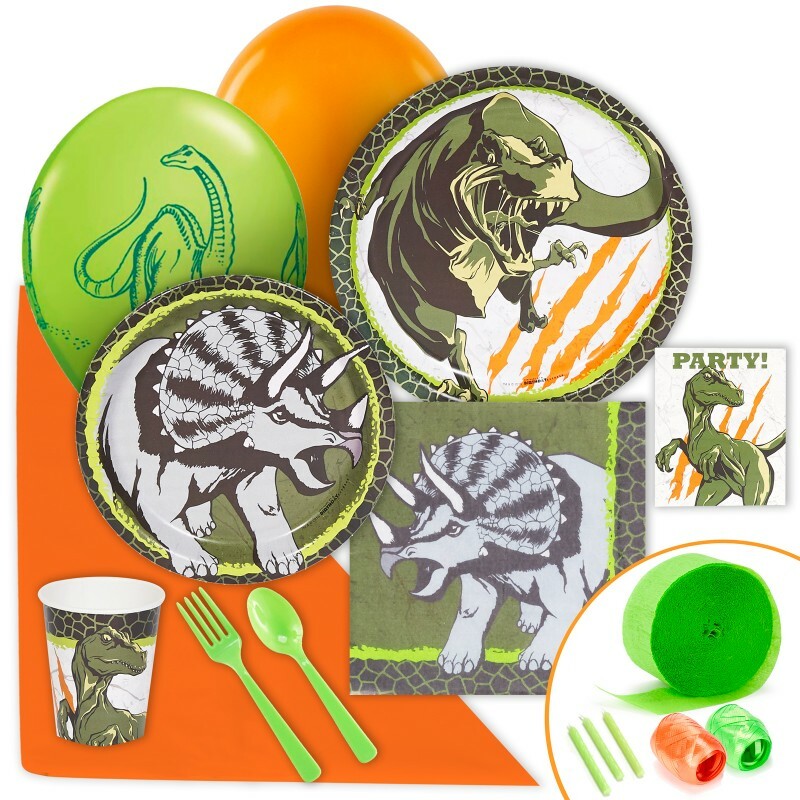 Click here to see all the party supplies in the new Dinosaur theme, only from BirthdayExpress! Thanks so much to my vendor! 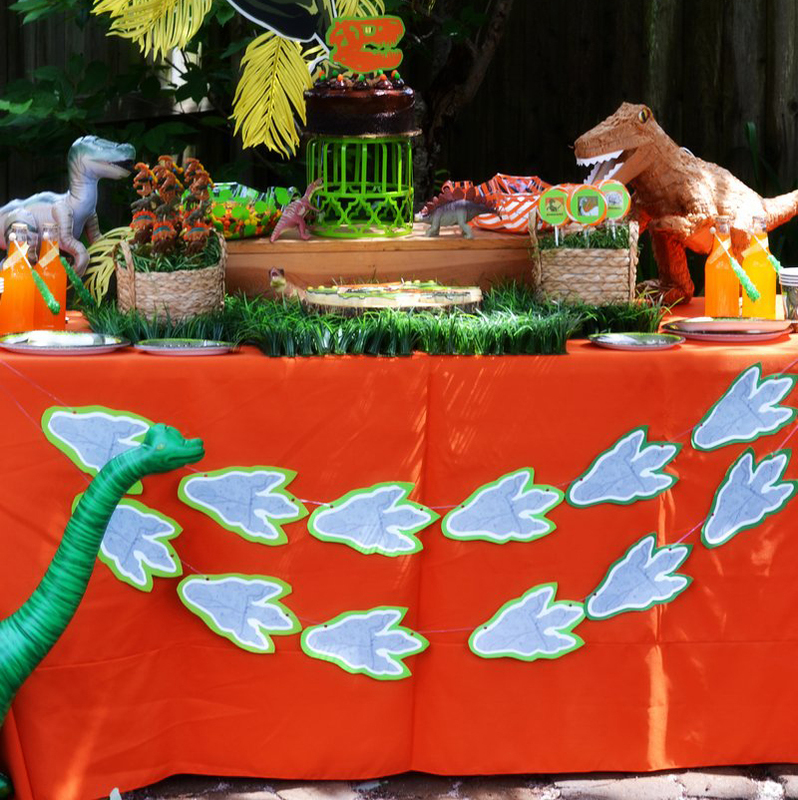 Did Brittany inspire you to throw an amazing Dinosaur party?